If fish were cars the bluefin tuna would be the Ferraris. That’s how sleek their lines are…and how quickly they accelerate. And how expensive they can be… especially at fish markets like this one in Japan….where sushi lovers have long coveted the rich red meat of the bluefin. 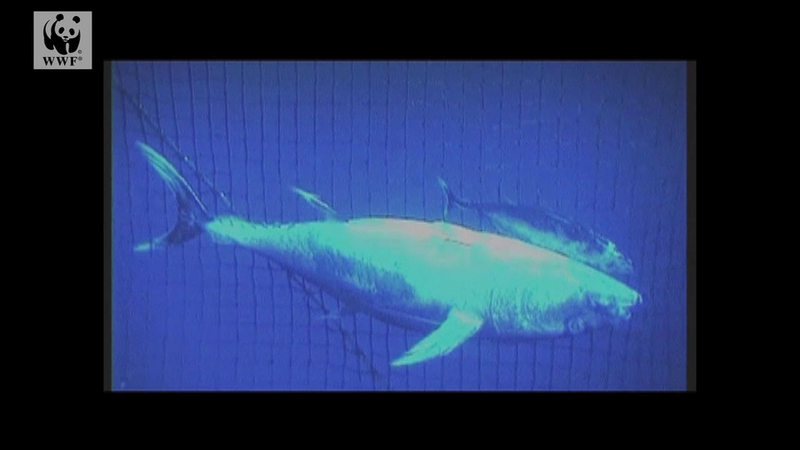 Here, a single bluefin tuna was once auctioned off for $175,000 dollars. Sales like those have painted targets on the backs of these great migratory fish. Bluefin that cross oceans now run gauntlets full of fishing boats, ranging from huge trawlers to small fleets that work together to haul whole schools of bluefin to the surface. Then there are the pirate fleets that use illegal spotting planes to find the fish and smaller boats to sneak them into ports. Fisheries biologists have been calling for restrictions on the global bluefin tuna catch for decades now. But the global organization that is supposed to set those fishing limits has left the status quo in place. And so around the world the bluefin catch is falling … especiallly in the Mediterranean where it’s falling so quickly that bluefin there may be headed toward extinction. For a time it looked as if bluefin tuna might be saved by the trade group known as CITES, which uses trade restrictions to protect rare wild things like elephants and tigers. But then Japan and other fishing nations killed a plan that would have add bluefin to the official CITES list of wild creatures put at risk by global trade. Conservation groups like the World Wildlife Fund say there has never been a more urgent need to recognize that bluefin are much more than seafood. They are also precious wild things that need to be protected NOW. Otherwise it might not be that long before there aren’t any bluefin in the fishing nets or in the water underneath them.